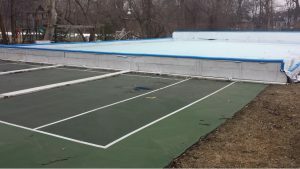 Hard sports courts or tennis courts present many different challenges when building an ice rink. The repeated concern is that customers do not want to drill into their hard court…quite understandable! Since every hard court scenario is different, Iron Sleek will try to present you with some ideas to build a rink on a hard court or on a tennis court. A few good pictures can tell the story best. Below is an ideal scenario. Grass on all 4 sides. It is ideal because you can use Iron Sleek brackets right into the lawn to secure the rink. Boards on the lawn with court on the inside. Be sure to protect the liner from a possible sharp edge where the court meets the lawn. 8″ LPS does a great job to handle that. Do not want to use the full Tennis court? Use the sleeper method. Lay a 2 by 12′ or plywood down on to the court with the Iron Sleek Hard court bracket. Reach back with sleepers to spike down or secure against fence. Secure it outside the Sports Pad! 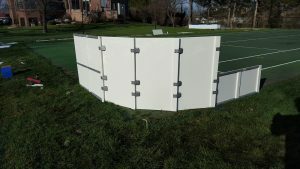 Use the hard court bracket and secure against fence. Completely on a hard court. If you do it this way, be sure to find a way to either sleeper back to something secure or to weigh down the rink. This rink still need supports for the tall backboards. 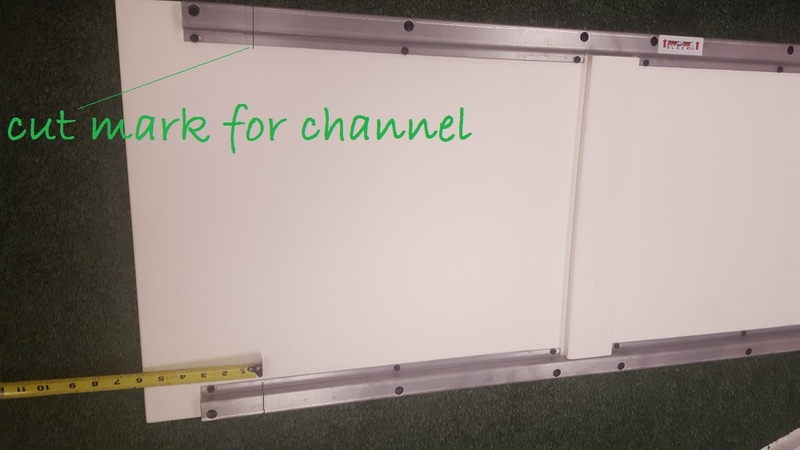 A hard court bracket alone is not enough to sustain the leverage of a 42″ board. You would still need Iron Sleek Outriggers. If all else fails, you can use sand bags. 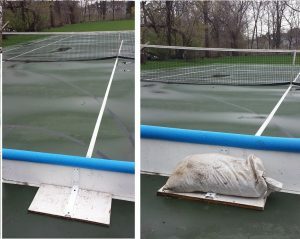 Sand bags are the least preferred method on a hard court rink. A freeze thaw scenario will cause the boards to drift and this can likely cause the liner to over stretch. An overstretched liner will eventually fail. Also, sand bags are much too heavy to handle. I recommend saving your energy for fun versus tossing heavy sand bags around. I would avoid sand bags if at all possible. Hopefully some of these strategies can apply to your hard court rink. 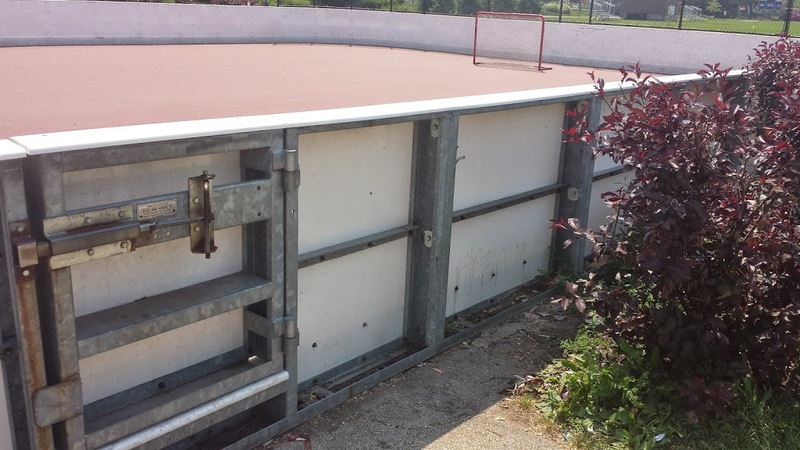 One other thing to keep in mind is that if you are building this rink every year, it may not be such a bad idea to have some reusable pilot holes to secure the rink. We have many customer who take that approach. Please feel free to give us a call to discuss your project. We are happy to help out. 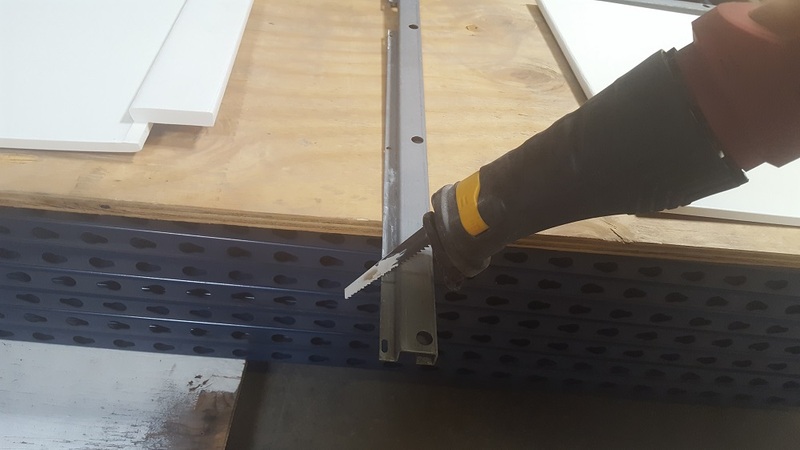 An awesome feature of the Iron Sleek Poly Steel board systemis that boards can be cut in the field by our customers to custom fit their project requirements. This is a very unique capability that is easily accomplished with our board system. 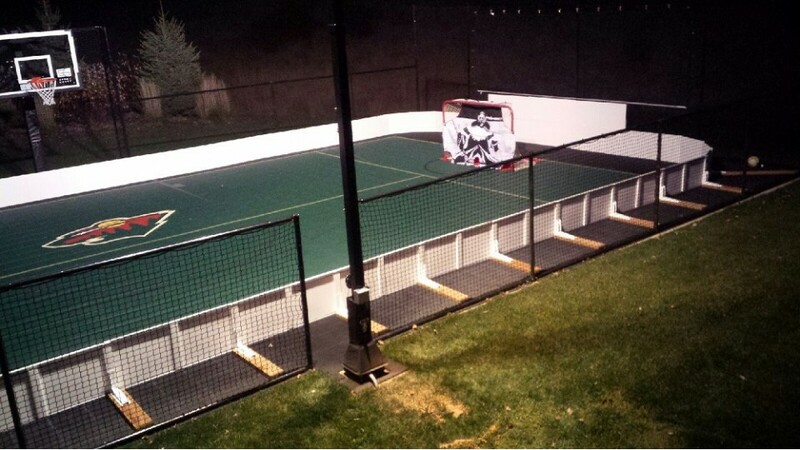 It is very useful for rinks that have borders or for optimizing size in a backyard. 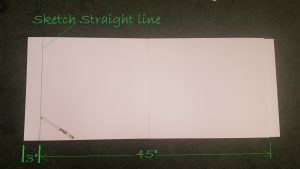 Below is a description on how to cut an Iron Sleek poly steel rink board to your desired length. Iron Sleek Poly Steel Boards are standard 48” long from the lap joint edge to the board edge. It is very important to understand that the lap joint is not part of the length of the boards. The lap joint section of the board should not be cut. 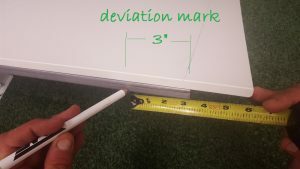 Step 1: Determine the target length of your board and make note of the deviation from the standard length of 48”. 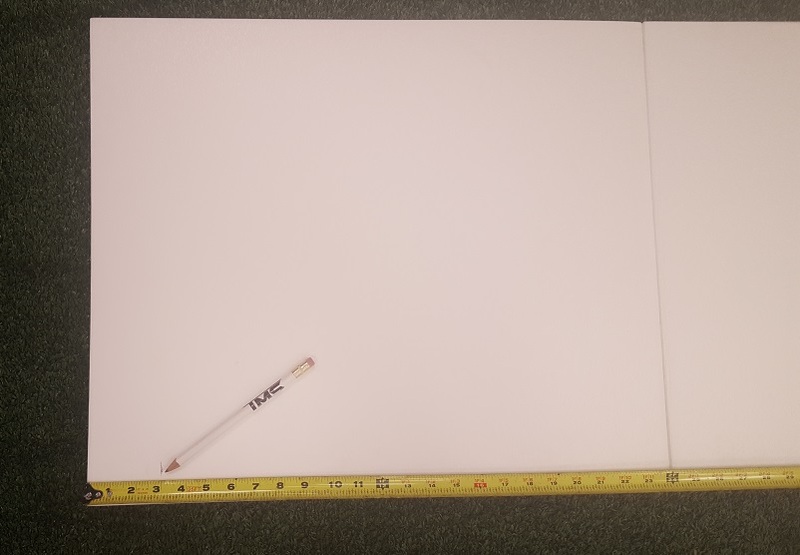 For example if the boards target length is 45”. The deviation is 48” minus 45” which equals a 3” deviation. Step 2: Mark the deviation on the poly boards and the Poly Steel Channels before disassembling both opposite of lap joint. 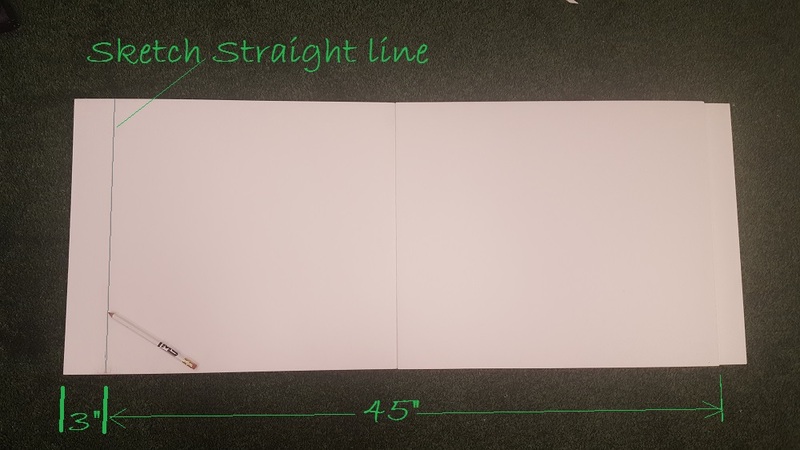 Step 3: Sketch a straight cut line on poly panel. Step 4: Mark the deviation on steel channel. Step 5: With the board panels already marked and the steel channels already marked. Disassemble the channels from the boards. Step 6: Cut the marked panel with a circular saw using a wood cutting blade. For best results you can use a table saw. Step 7: Cut the 2 marked rails with a reciprocating saw, chop saw, or hand hack saw. Step 8: After all the pieces are cut, you can chamfer or route cut edge of poly panel and file off sharp corners on the cut edge on steel channel. Check out this basement shooting lane. 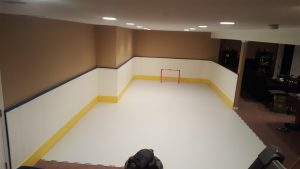 With the this ability to cut we were able to wrap around our customers basement to optimize the provided space. It’s no secret that staying active throughout the winter months can be a challenge for any family. It seems like the colder it gets, the easier it is for us to stay inside until we eventually go into a quasi-hibernation mode, complete with comfort food and lots of television. 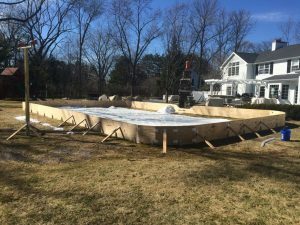 If you’re tired of hunkering down at home during the winter months, you just may be an ideal candidate to install backyard rinks on your property. 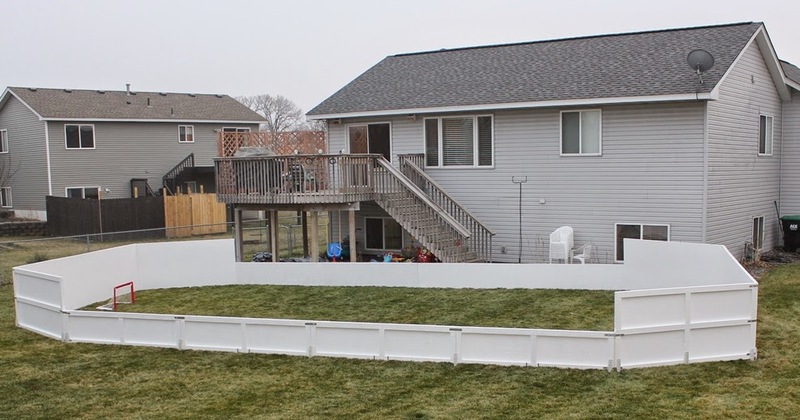 Homeowners who install backyard rinks instantly notice an impressive range of benefits. The first thing that many notice after installation is just how much everyone in the family wants to use it! Kids and adults alike love the opportunity to simply lace up their skates and hit the ice. Not only will you get extensive use out of it, but it also provides the perfect excuse to get outside and enjoy some fresh, albeit chilly, air. Beyond extensive use, backyard rinks also provide an excellent opportunity for you and the whole family to get outside and stay active. In many families, when the temperatures go down, the dependence on electronic devices goes way up. Many parents struggle to find ways to get their little ones moving and staying healthy. 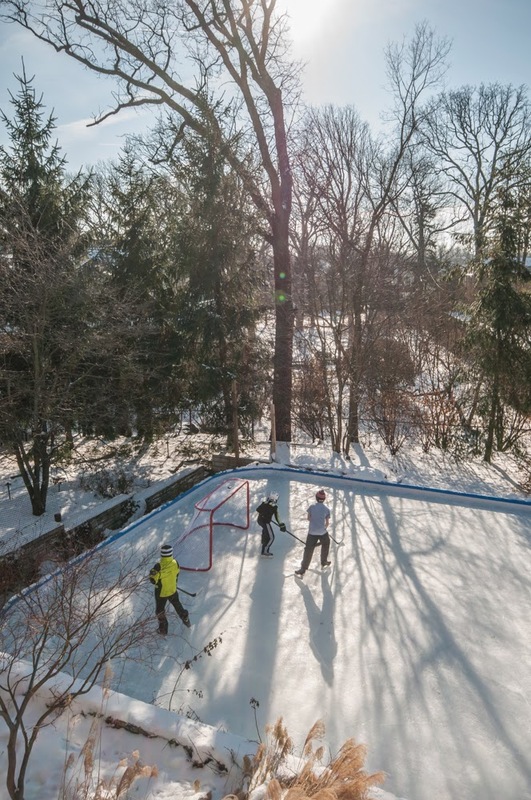 A backyard arena allows them to build up some cardiovascular endurance and stay fit no matter how much snow comes. What is another reason why you will love your personal skating arena? It’s a great way to spend time together as a family. Sometimes winter fun together can be challenging. With so many different ages to accommodate, finding an activity that everyone can do and actually enjoy can be tough. 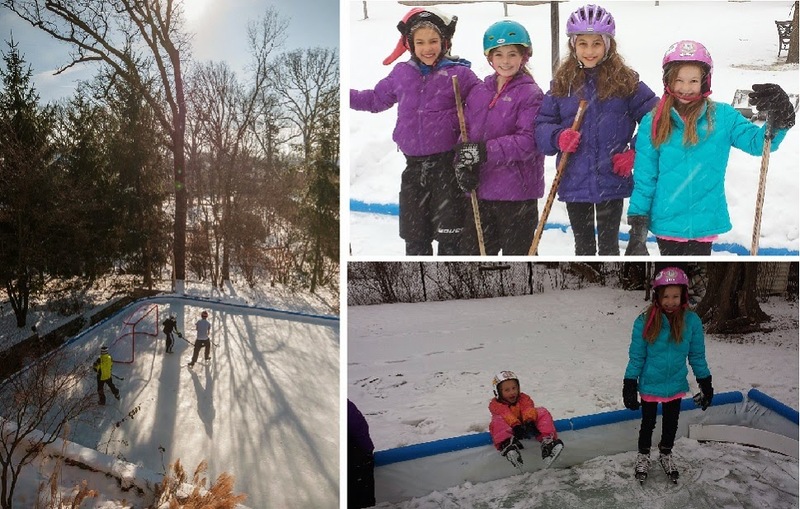 Backyard rinks are a great way for skaters of all ages and with every ability level to spend time together, right in your own yard. Speaking of right in your own yard, skating arenas are extremely convenient. Yes, having a public rink in the vicinity does offer some skating opportunities. However, you have to work around their timetable. Open ice time can feel few and far between when you and your family are trying to make it work with your busy schedules. A personal arena means you can conveniently skate whenever you want. Best of all, backyard rinks offer homeowners the opportunity to use them as formally or as casually as they would like. Have competitive skaters and/or hockey players in your home? They will love working in their own yards to sharpen their existing skills and raise their talent levels at their own pace. Prefer to keep things casual during rink time? Not a problem; many homeowners simply use their arenas to let their children enjoy unstructured playtime. Sometimes that may mean organized pickup hockey games with the neighbors. Other times it may mean letting the kids outside to make up their own games and competitions. 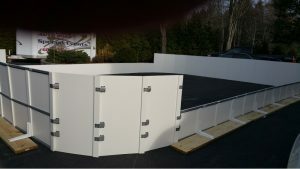 Want to hear more about our premium quality outdoor ice rink products? Contact Iron Sleek today! 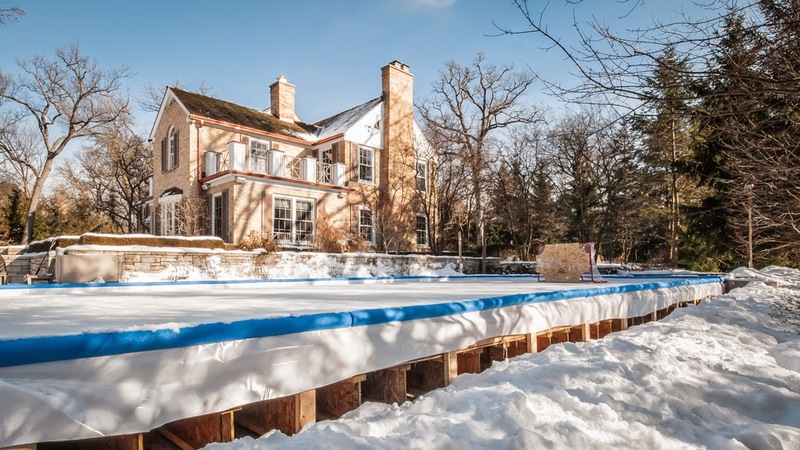 Buying a backyard ice rink is an exciting time for any homeowner; it’s the perfect way to pass time throughout the winter months with the kids and stay active as the temperature drops. However, with the excitement of a new rink comes yet another decision to make when trying to find the right ice rink liners to use on your system. There are many options, both in retail stores and online. How can you be sure that you are picking a winner? 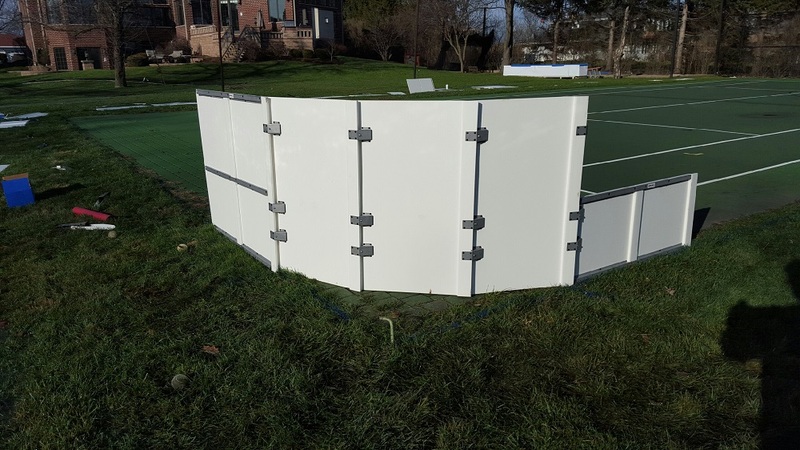 Here at Iron Sleek, we understand how critical quality ice rink liners can be for any outdoor system because we help 1000’s of people build rinks across the US and Canada. 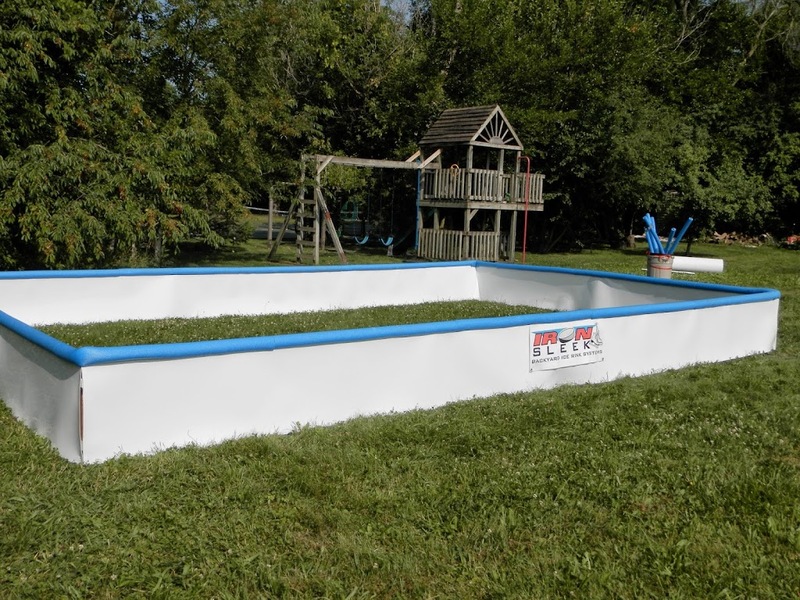 It’s our mission to make ice rink liners that truly stand apart from other products in the marketplace. How do we achieve this key goal? By delivering a line of liners that touts several distinctive qualities. The first thing that clients notice about our liners is the uniform color of every product. There is a reason why all of our ice rink liners are white. White reflects solar energy, which upholds the integrity of the ice. Other products may come in dark colors; however, the darker the color, the easier it is to melt ice when the sun is out. Other clear liners won’t work as well either; see-through liners actually absorb heat from the grass underneath and will break down the ice more quickly. Another way that our ice rink liners stand out from other product options stems from the materials used to create them. First and foremost, you will never get a tarp when selecting a product from Iron Sleek. 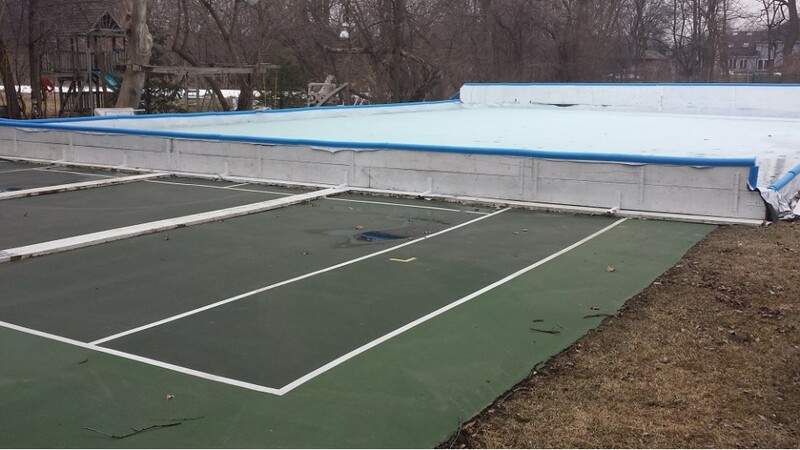 We understand that there is a major difference between tarps and ice rink liners. 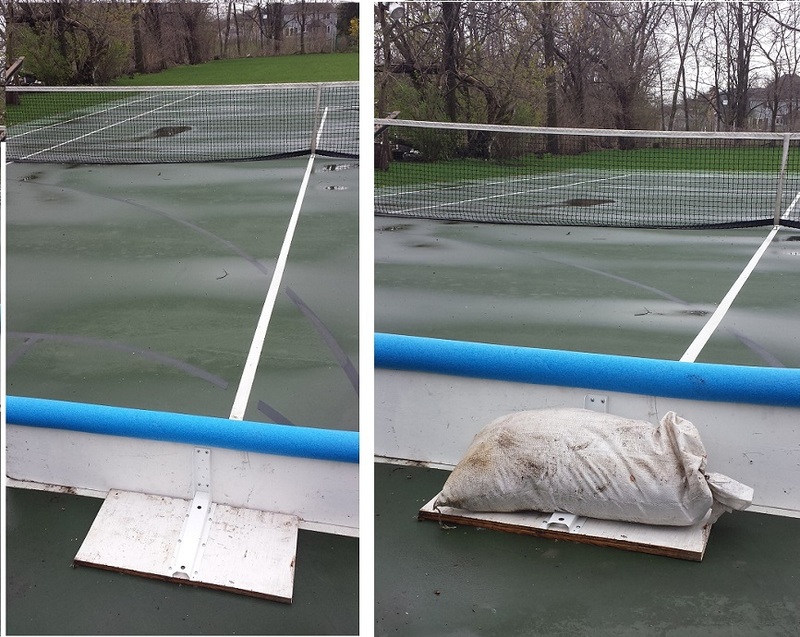 Tarps weep, tear easily as they lack the flexible stretch properties required of an ice rink liner and compromise easily, delivering an overall sub-par experience . Additionally, every liner we offer is made from 100% watertight and pinhole free polyethylene, a virgin resin plastic. At Iron Sleek, we understand that recyclable materials, although useful in many other products, are not durable enough to be used in ice rink liners. That’s why we only use virgin resin plastic. Both strong and sturdy, this resin plastic is up to freeze/thaw challenges you create in your backyard. Beyond the materials used in the liner, Iron Sleek also uses a multi-layer design on every product we offer. Why? Single ply simply does not do the job properly in a backyard system. We offer multiple layers to ensure you are water tight, have the strength and resilience you need to keep everyone having fun in your yard. Most importantly, at Iron Sleek, we stand apart from the competition due to our complete commitment to customer service satisfaction. Our team of experts will become your rink consultants as we will work with you to answer any questions about your rink, so you get the perfect set up for your system. Once you’ve selected your product, we will ship it directly to you using only top quality packing materials so your item enjoys safe transit and arrives at your home ready to perform. Ready to experience Iron Sleek for yourself? Visit our websitetoday! 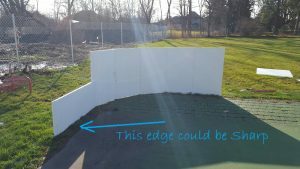 What should I use as RINK BOARDS for my Backyard Skating Rink?? The beauty of smooth shiny ice under the clear evening moonlight and the crisp sound of skates cutting ice with the playful laughter of children and the aroma of fresh burning logs in the background air are definitely impressions that stick when we think of our backyard rinks…truly EPIC!! All this is possible because a containment holds water in place allowing it to transform to the expanding miraculous ice when the ambient sinks below 32 degrees. 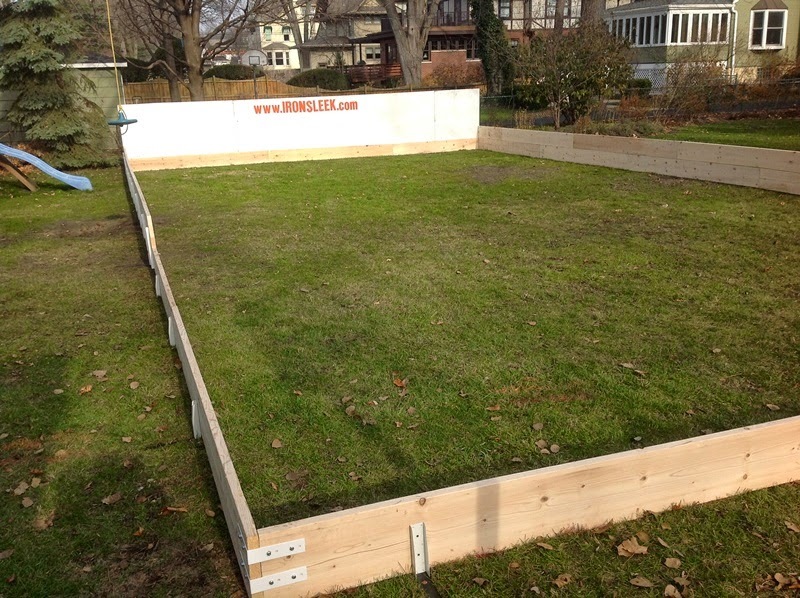 The containment has a great function but it also adds character and personality to an outdoor rink. 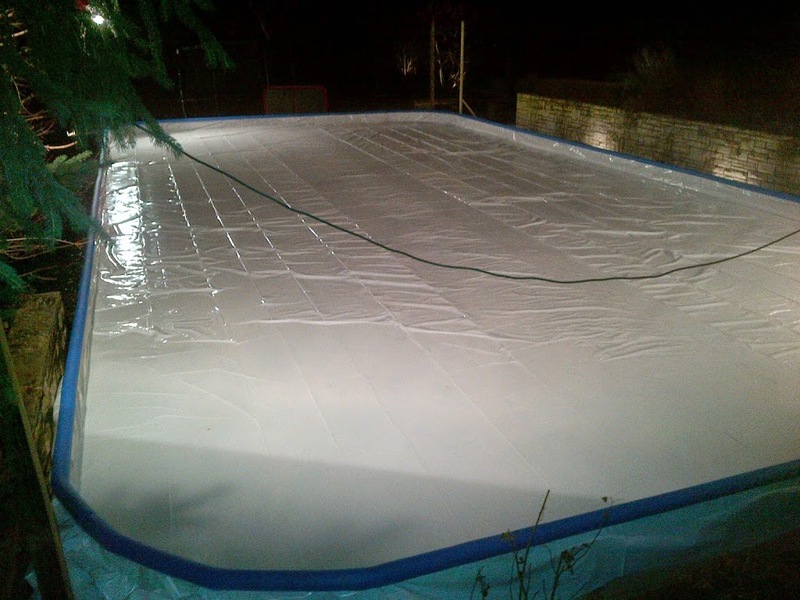 There are many materials that are commonly used to contain water to form an outdoor rink. 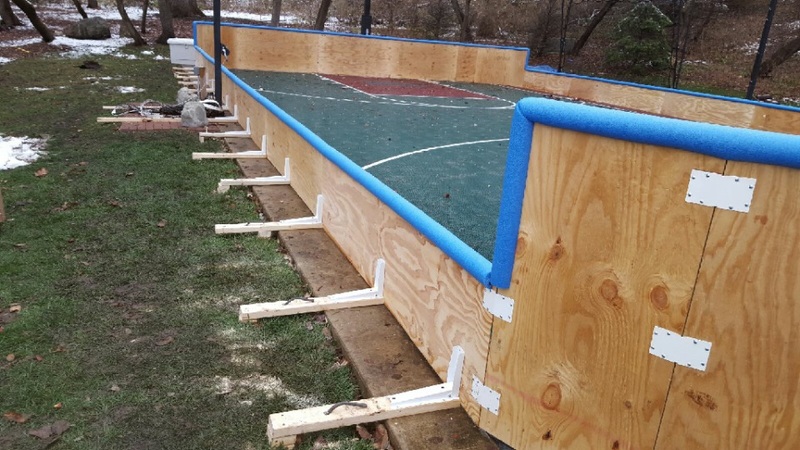 Some options for rink boards are: dashers boards, 2” by lumber, plywood, commercial plastic, and snow banks. These are all good options but it is up to the rink designer to choose between cost, effort, aesthetics, and their overall vision for the rink. The chart and dialog below is a good starting point to understand some of the differences between the various options. Let’s start with the most deluxe…Dasher Boards. Real hockey dashers are rigid metal frames, 48” tall, with ½” poly permanently attached to the frames that can sustain rough hockey play. 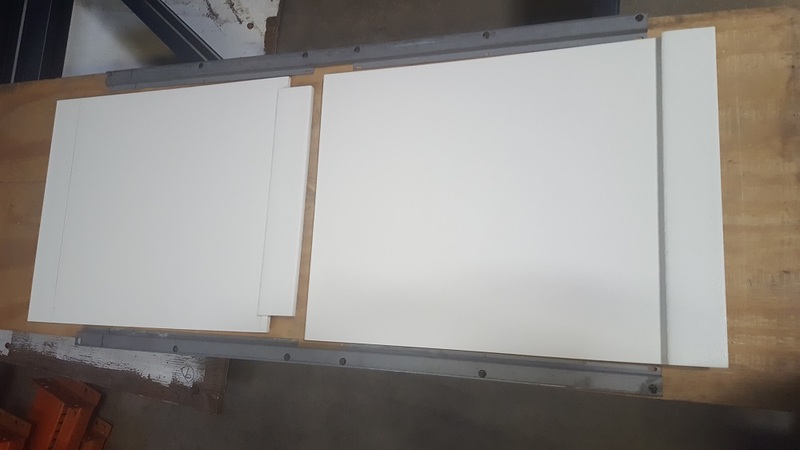 Dasher boards are usually permanently mounted, heavy, and require construction professionals for installation. They are usually well decorated with a base trim and a colored top ledge. There are companies in Canada and the US who have mastered this mainly commercial market. 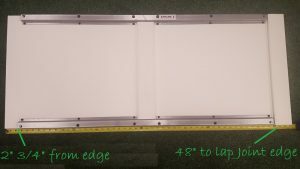 Heavy duty, metal framed dashers with ½” poly boards cost over $100.00 per linear foot. There are custom wood frame options starting at $60 per linear foot or aluminum frame options that start at $30 per linear foot. 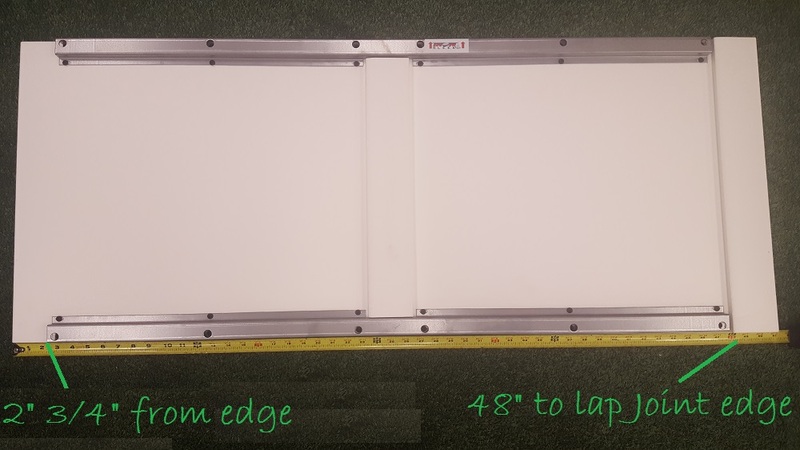 Iron Sleek does not provide dashers but we would be happy to discuss other cost effective board solutions for you that could make your rink board look and play like dashers. 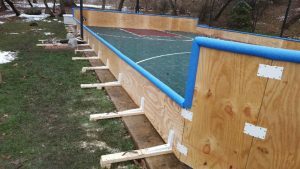 · Try telling your lumberyard that you are building a backyard rink and that you would be willing to take boards with knots for a discount. You may be pleasantly surprised. When I built my first rink, I got 50% off for taking “inferior boards.” The store clerk will be impressed that you are doing something so awesome and a few knots in a board will not affect the quality of your rink. I still use those same boards today that I bought a decade ago. · Be careful to not miscalculate lumber sizes. “2 by” lumber is just a nominal size. The actual thickness of the lumber is only 1 ½”. The same is true for the height. For example, a 2” by 12” is acutally 1 ½” by 11”. · Treated lumber is not necessary unless you plan on leaving your rink set up out in the elements year round. Treated lumber costs more and is much heavier. 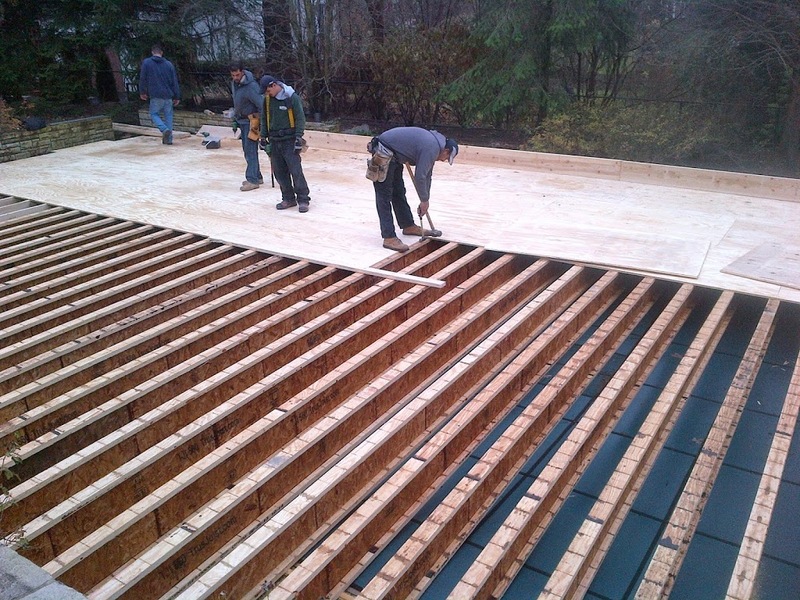 Since the liner will protect the boards during the rink season, treated lumber is not required. 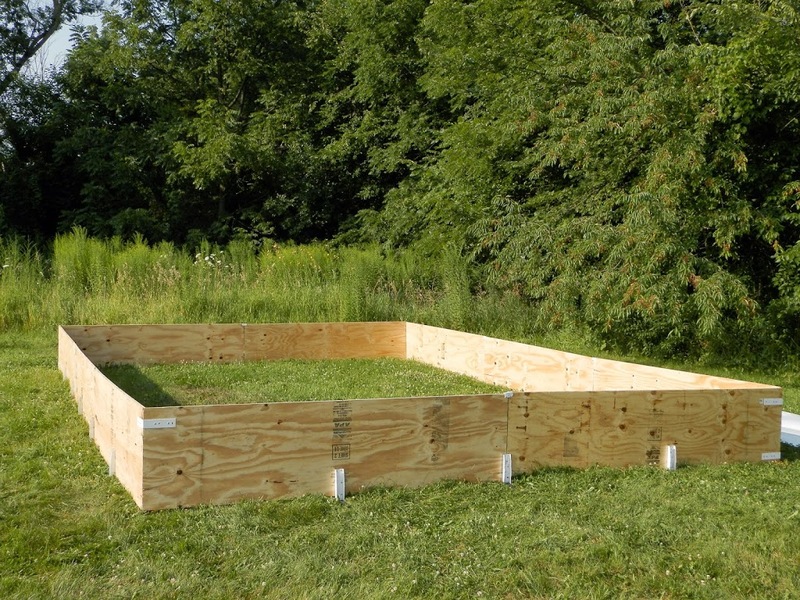 · “2 by” lumber is a great choice for building a free skating rink on a low pitched site. The rink will go up easily and it is easier to maintain as snow could simply be pushed off the sides. 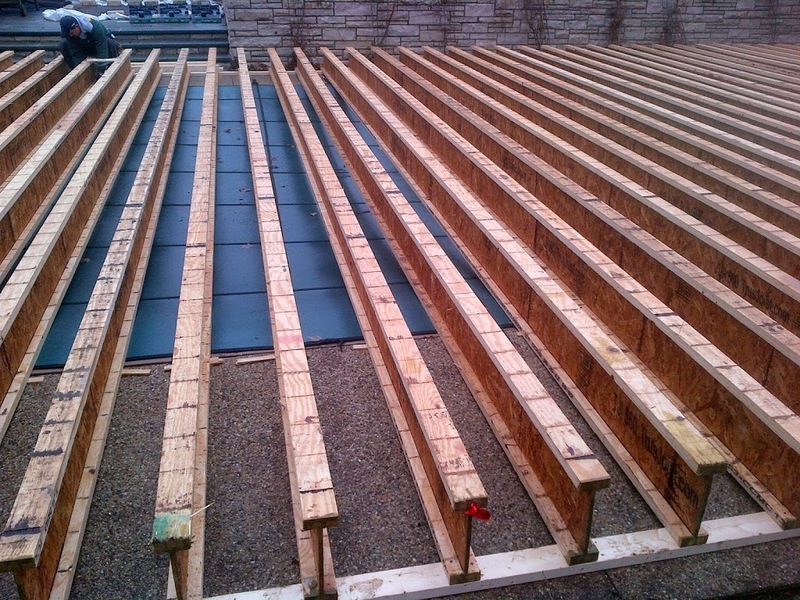 · Plywood boards can be ripped to accommodate water levels where 2 by lumber must be stacked. · Plywood can be framed and painted to look and feel like real dashers. 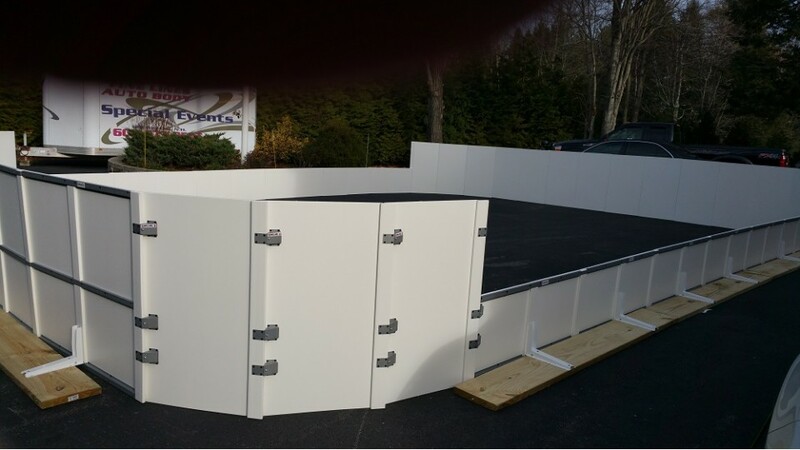 · Plywood boards store easier since they are actually half the thickness of 2 by lumber. 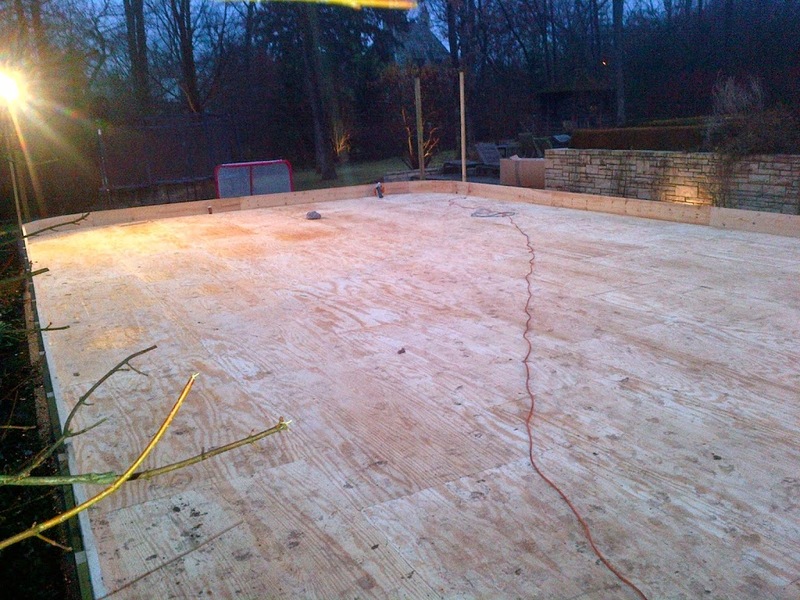 · Plywood is better for building a hockey rink. 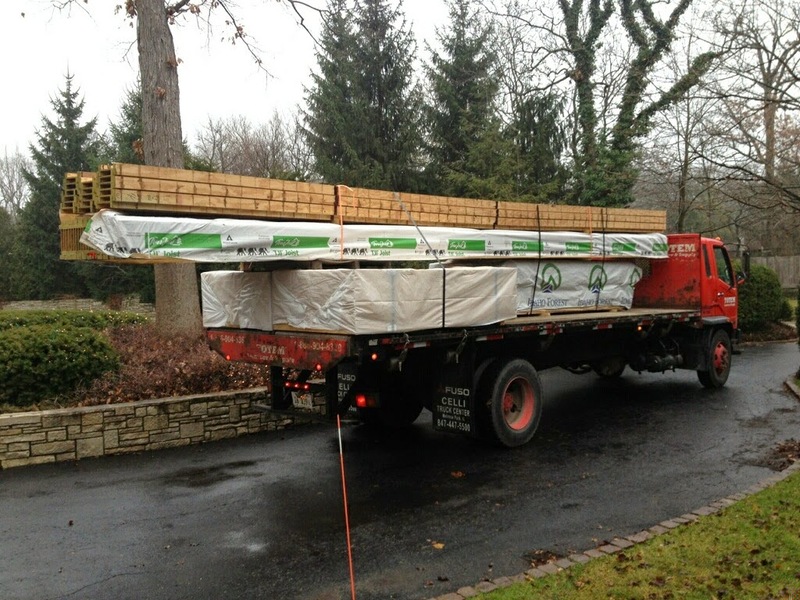 · Plywood is the choice of simplicity for commercial installers as they can stack and transport more boards to the job site. 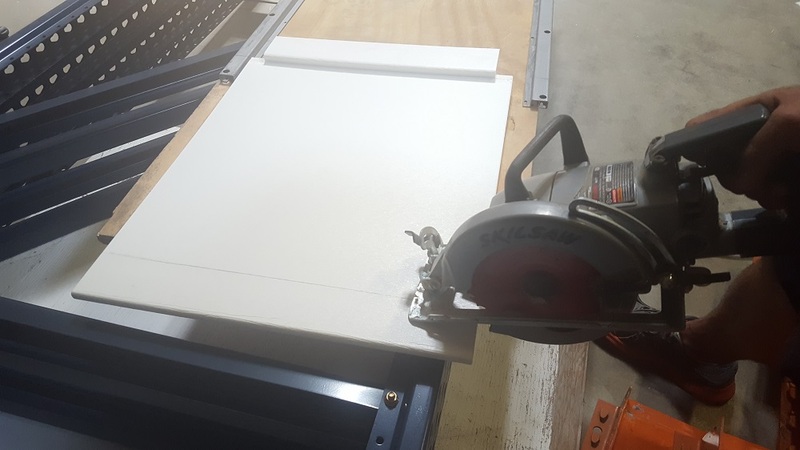 · Plywood sheets must be ripped. I recommend asking your lumber provider to rip the plywood or you will be stuck with a time consuming tedious job of sawing. Sometime lumber yards rip plywood at no cost. 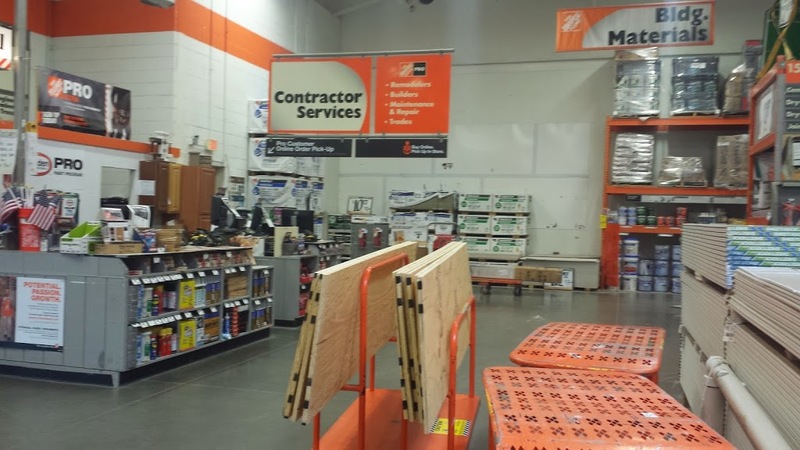 In Chicago, Home Depot will rip up to 10 boards at no cost. · You will need base cove to protect the liner because the edges are sharp and could cut the liner from below. 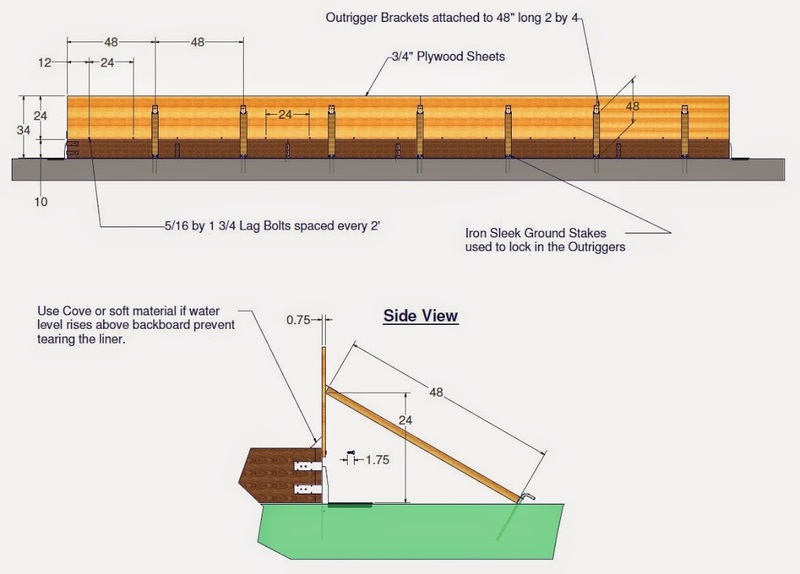 Cove is critical with plywood especially when water levels exceed 11 inches. 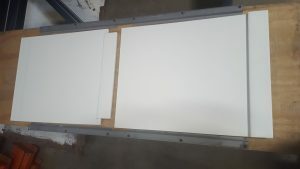 · Plywood flexes so the board will not appear straight even though they are installed straight. The water pressure and ice expansion will show board flex throughout your rink season. · Screws do not bite in as well in plywood as they do with 2 by lumber. You must be especially careful to not strip out your screws when using a power drill. 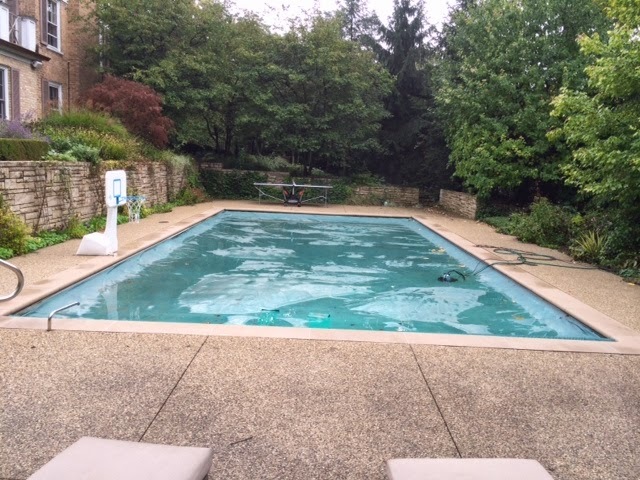 · Plywood does not last as long as lumber if not stored or protected properly outdoors. Author adminPosted on August 11, 2014 January 23, 2018 Categories Uncategorized1 Comment on What should I use as RINK BOARDS for my Backyard Skating Rink? ?